What is the Library of Ashurbanipal? 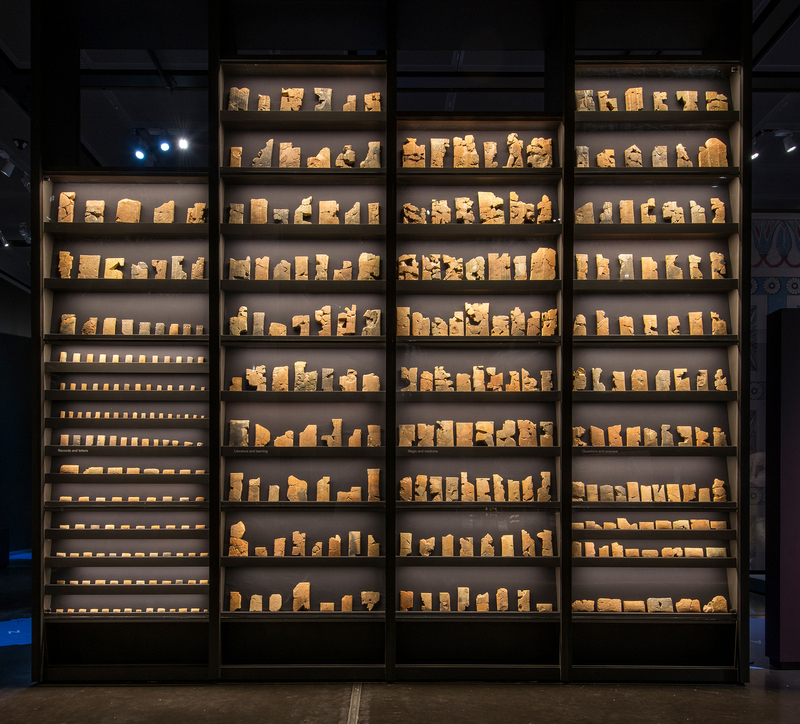 The ‘Library of Ashurbanipal’ is the name given to a collection of over 30,000 clay tablets and fragments inscribed with cuneiform – a type of writing used in Mesopotamia (ancient Iraq). Texts were written by pressing a reed pen into soft clay. The characteristic wedge-shaped strokes give the writing its modern name (cuneiform means simply ‘wedge-shaped’). The tablets were discovered in the ruins of the city of Nineveh (now northern Iraq), once capital of the mighty Assyrian empire, ruled by Ashurbanipal from 669–c. 631 BC. They were excavated in a series of digs from the 1840s through to the 1930s, and form the remains of the Assyrian royal collections of scholarly literature and archives. Nineveh was consumed by fire in around 612 BC. 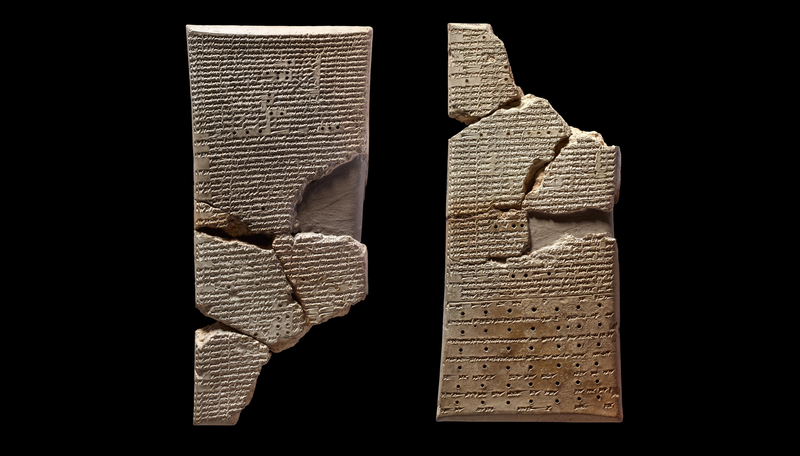 But while paper books are destroyed by fire, the clay tablets were in most cases baked harder, making them among the best preserved documents from thousands of years of Mesopotamian history. 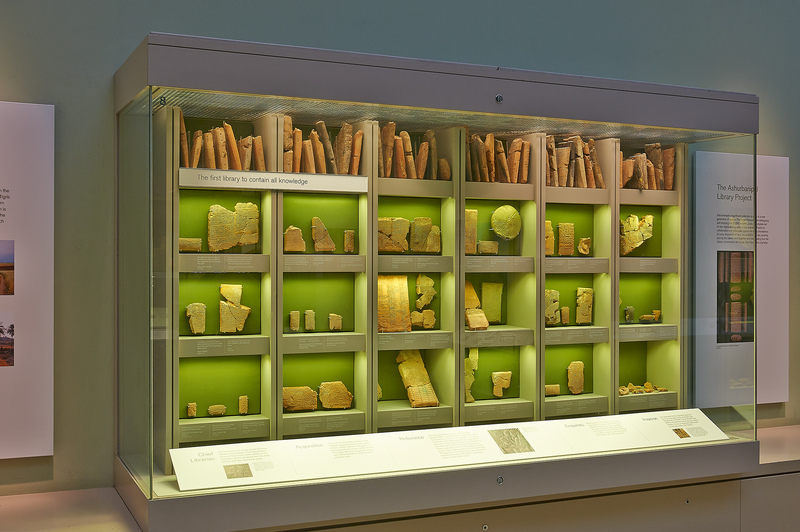 Some of the tablets from the Library of Ashurbanipal on display in Room 55. When was the Library found? The chambers I am describing appear to have been a depository for such documents [historical records and public documents]. To the height of a foot or more from the floor they were entirely filled with them; some entire, but the greater part broken into fragments. 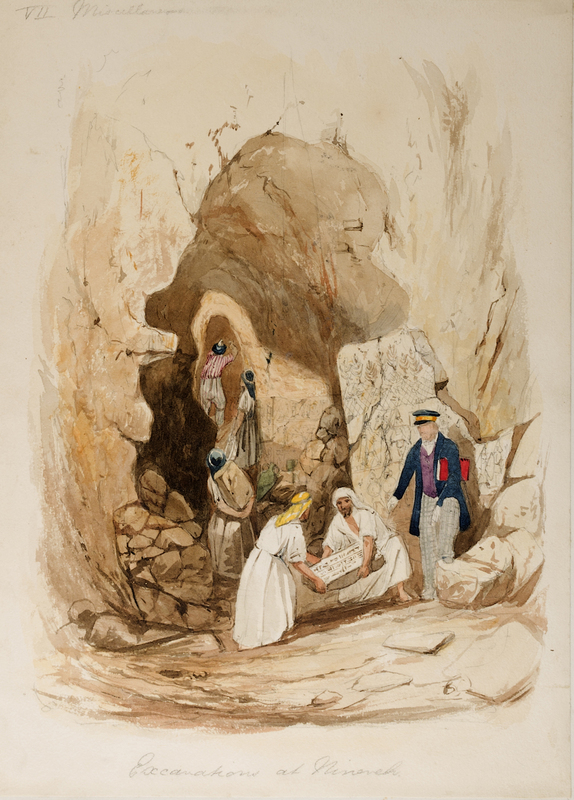 Layard’s Iraqi assistant, Hormuzd Rassam, continued excavations and in 1852 he discovered a second palace, and in it another large collection of tablets. Before the discovery of the Library, almost everything we knew about ancient Assyria came from stories in the Bible or classical historians. With the discovery of the Library, thousands of cuneiform texts were recovered, telling the Assyrians’ story in their own words. From these we can follow court intrigues, listen in on secret intelligence reports, follow rituals step-by-step, hear the words of hymns and prayers, and thumb through medical handbooks, as well as reading in incredible detail about the deeds of the kings. 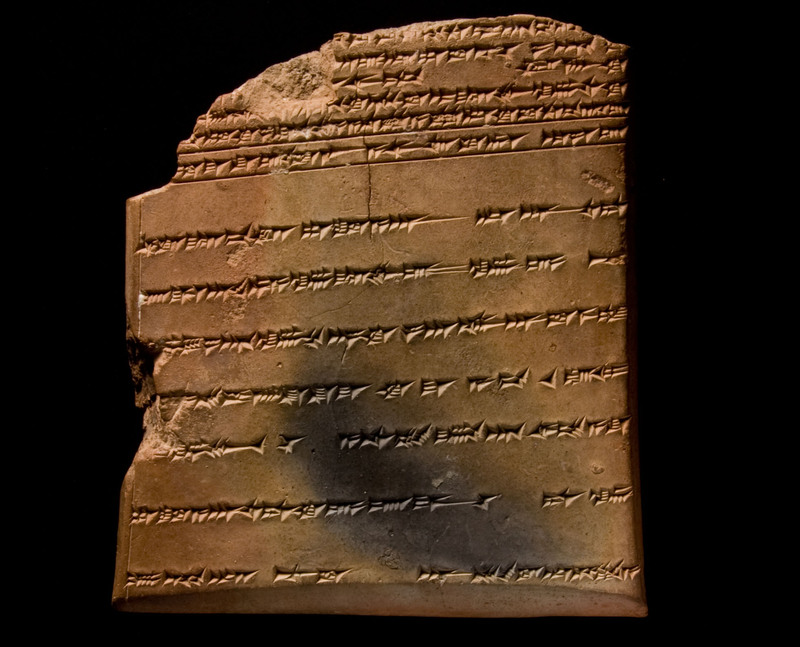 Copy of a reply to Ashurbanipal’s demand for tablets, written centuries after the Library was destroyed. Why did Ashurbanipal collect tablets? Ashurbanipal was an extraordinary king. In his inscriptions he boasts about the breadth and depth of his learning. 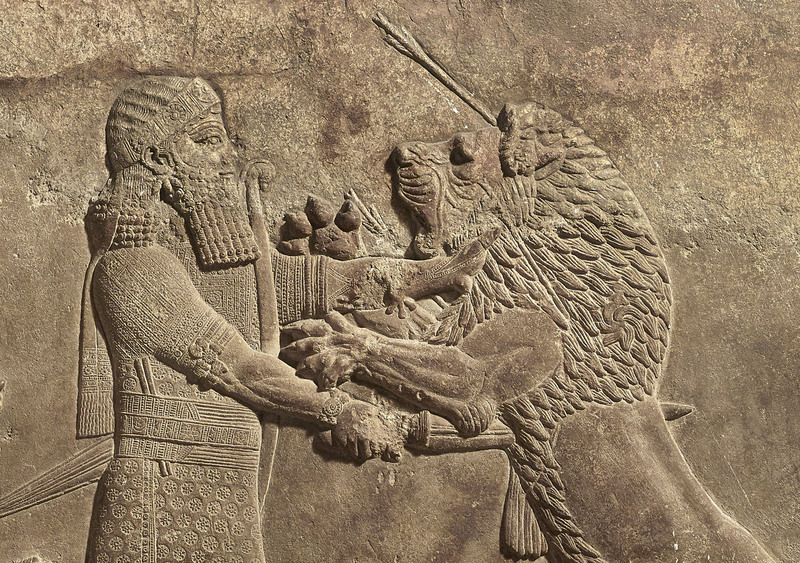 While other Assyrian kings led the army on far-flung campaigns, Ashurbanipal stayed at home. The walls of Ashurbanipal’s palaces were decorated with carved reliefs, including many of the King depicted with a writing stylus tucked into his belt. Relief depicting Ashurbanipal fighting a lion with a stylus tucked into his belt. 645 BC – 635 BC. Ashurbanipal’s father wanted the young prince to be educated because this would give him direct access to the expertise he relied on to run the empire. Assyrian scholarship was focused on understanding the will of the gods, so his Library focused on texts that interpreted omens from the gods. However, Ashurbanipal had an interest in literary books as well. Ashurbanipal still kept tablets he had written during his training, presumably for sentimental reasons. Many of the tablets in his collection bear a ‘library stamp’ of sorts—stating that they belong to his palace. 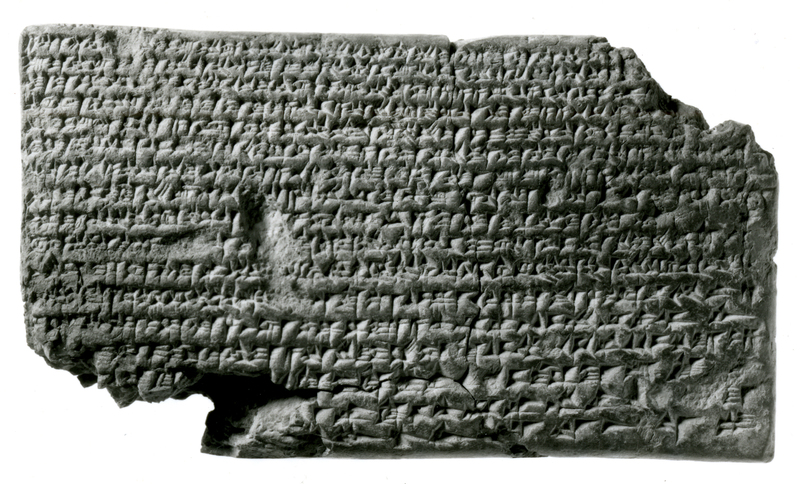 A scribal note recording that the tablet belonged to the collection of ‘Ashurbanipal, King of the World, King of Assyria’. The arrival of Assyrian objects in the UK caused a sensation. One person swept up in ‘Assyromania’ was a young banknote engraver called George Smith. He visited the British Museum in his lunch breaks, and studied every book available on the subject of Assyria. In 1861 the Museum gave him a dream job. He was asked to bring order to the tablet collection and to re-join the fragments of the tablets. While sorting the fragments, he made an astonishing discovery – a story about a great flood just like the biblical story of Noah. Smith gave a public lecture on the subject, which even the Prime Minister, William Gladstone, attended. The Daily Telegraph duly sponsored Smith to find the missing piece of his flood story in the ruins of Nineveh. Amazingly, he found a fragment that helped fill the gap, although it was actually from an even older version of the flood story. George Smith (1840–1876), and the tablet he pieced together to reveal the story of the flood. Library tablets have been on display in the British Museum since their discovery. Today, you can see a selection of tablets on permanent display in Room 55 (the Later Mesopotamia Gallery), and remotely on Google Street View. A major display dedicated to the Library forms part of the BP exhibition I am Ashurbanipal: king of the world, king of Assyria. While we know a lot about some of the books from the Library, we know far less about the Library itself. The tablets were not found in place, so we know little about their storage. And although a lot of progress has been made in re-joining the broken fragments, it is not clear how many tablets Ashurbanipal once had. We don’t know how many scribes produced its books either. New research at the British Museum is working to shed some light on key questions about the Library. In 2012, Ali Yassin Al-Jaboori began excavations at Nineveh on behalf of the University of Mosul, in search of more of the Library. Although interrupted by the security situation in 2014, it is hoped that excavations may resume within the next few years. Want to read the Library of Ashurbanipal? Thousands of texts are available in English translations at the Oracc portal (see the SAAo, RINAP, CMAwRo, DCCLT, CCPo projects). There you can also find Knowledge and Power in the Neo-Assyrian Empire, which offers an overview of Assyrian scribes and scholarship. A new project bringing together these and other translations of Library tablets, and giving information about the Library, will be launched at the Oracc portal this summer. Tablets from Ashurbanipal’s Library on display in our current exhibition. You can discover more about Ashurbanipal and his Library in the BP exhibition I am Ashurbanipal: king of the world, king of Assyria, which is at the Museum from 8 November 2018 – 24 February 2019.